This shop has been compensated by Collective Bias, Inc. and its advertiser. All opinions are mine alone. #FlavorSplash #CollectiveBias – Messaging below is intended for ages 21+ and is intended to be enjoyed responsibly, in moderation. Can you believe that Thanksgiving is exactly one week away from today? I do not know about you but that makes me a tad dizzy, and excited all at the same time. This year I am hosting my very first Thanksgiving Day Dessert Buffet at 4pm after Thanksgiving Day Lunch and I want things to be just so. 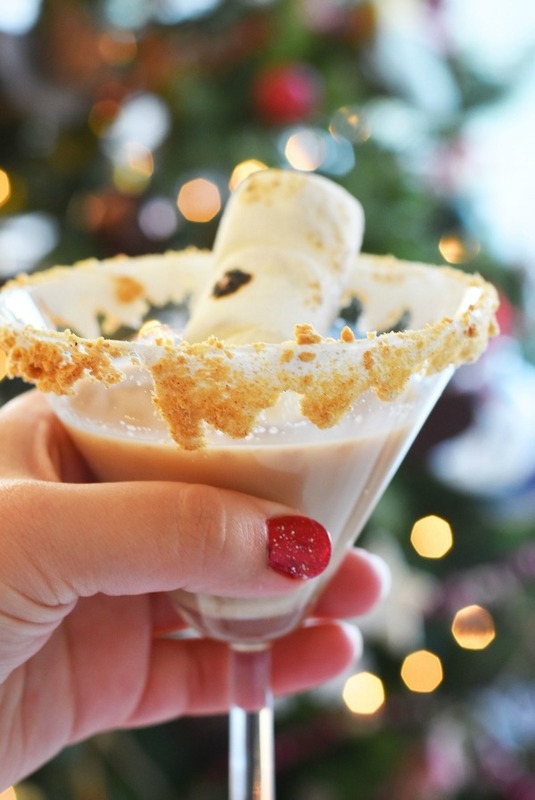 I will be serving dessert galore, coffee, soda, tea, and some fancy dessert-inspired martinis like this Toasted Marshmallow Martini. Thanksgiving Day is all about family, friends, good food, and lots of sweet treats. Aside from the chaos of having to make 8 desserts from scratch, I want to also remember to give thanks for my blessings this time of year. 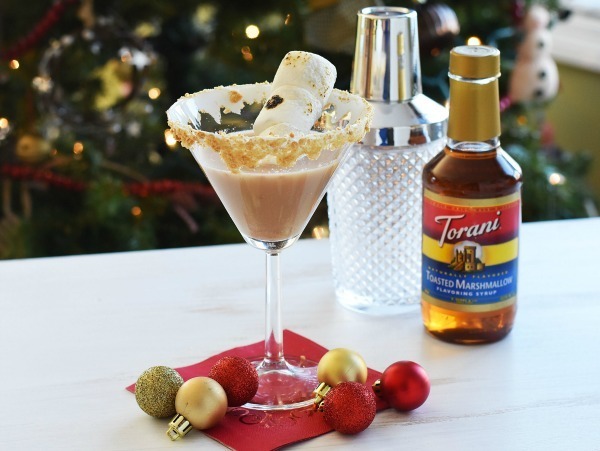 I think a nice toast with a martini featuring Torani Toasted Marshmallow Syrup with be fun for the adults. 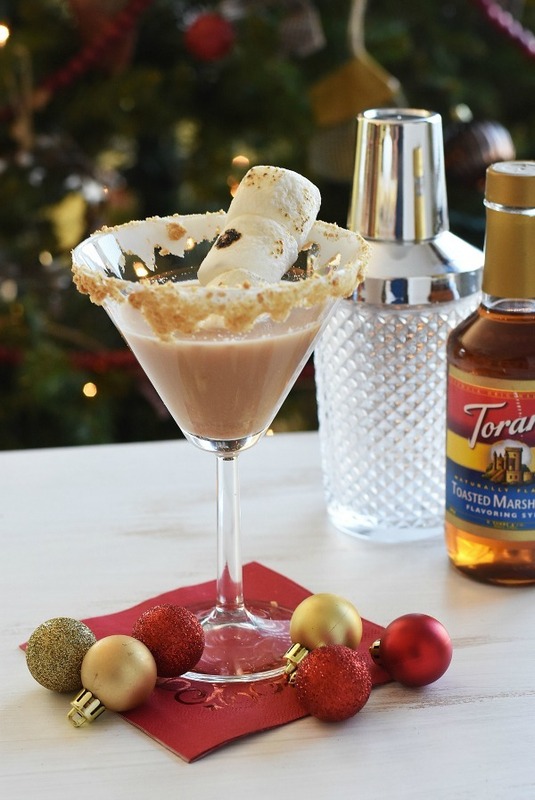 The kids will be getting Toasted Marshmallow Hot Cocoa to celebrate! One special Thanksgiving tradition our family celebrates yearly is the lighting of our Christmas Tree. I have been celebrating this tradition even before the crazy Black Friday shopping came into play. While I will be doing some of that in the early morning hours, I want to soak in the moments with family over good food, drinks, and traditions. Ok, so I do admit I did get a head start this year on decorating, but I am not done and my tree has not been fully lit for the 3 hours each night as it will be starting on Thanksgiving evening. After a hearty traditional Thanksgiving lunch, I plan on serving custard, apple, blueberry, pumpkin, and banana creme pie. I will also be making some other Portuguese desserts like sweet rice, and quejadas (cupcakes). 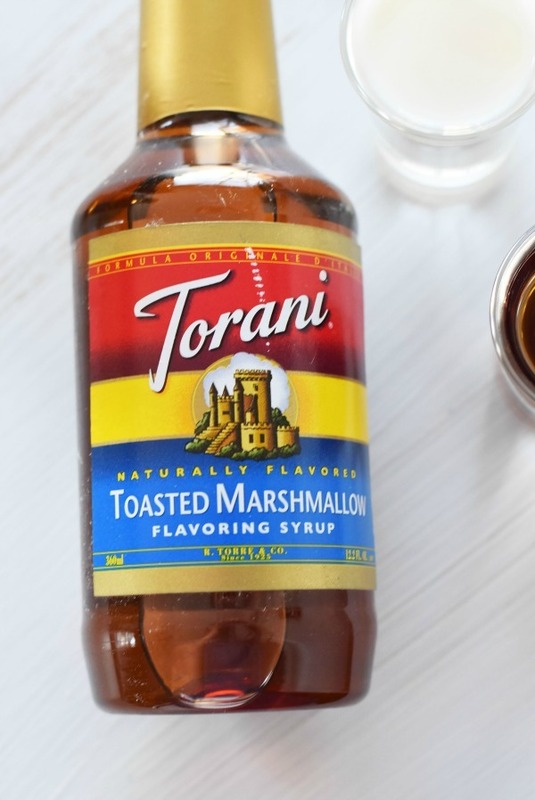 Torani Flavor Syrups like Toasted Marshmallow, Bourbon Caramel, Pumpkin Spice, Caramel, and Hazelnut will also be a part of my coffee, and drink station. You can find them conveniently at Walmart in the coffee aisle. 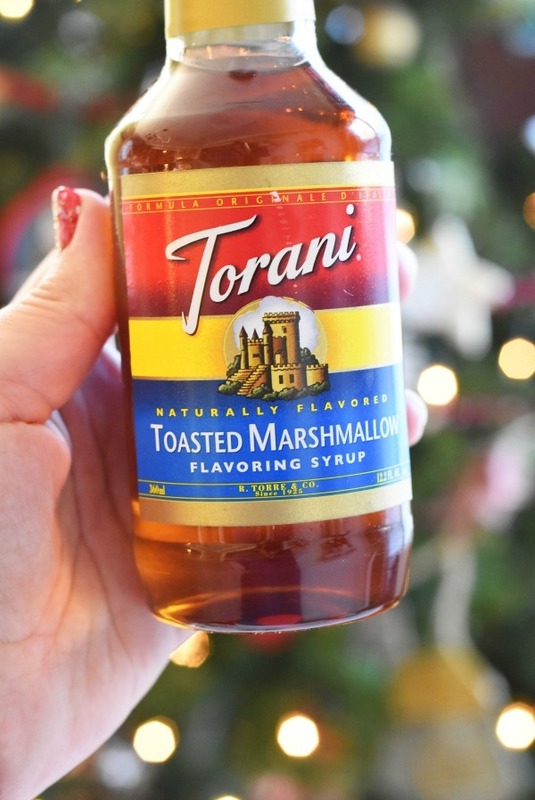 I have been using Torani Flavor Syrups for years because they have an authentic coffee house flavors, require just a splash, and are made with real, simple ingredients like pure cane sugar & natural flavors. 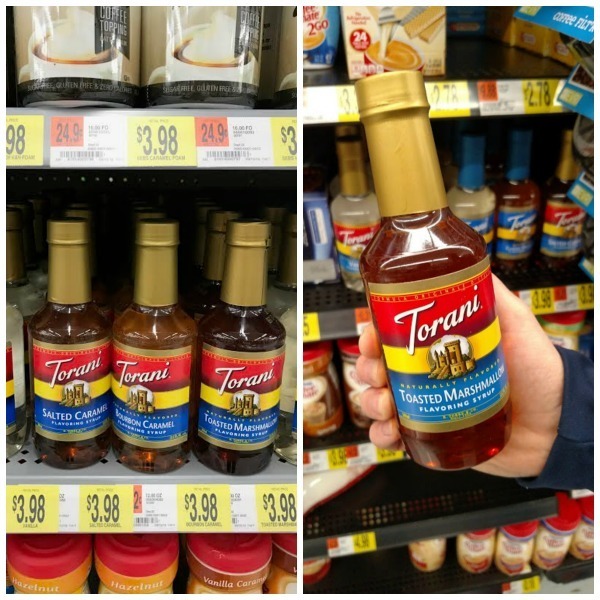 A family-owned company since 1925, they are my favorite way to add tasty flavors to my coffee this time of year. 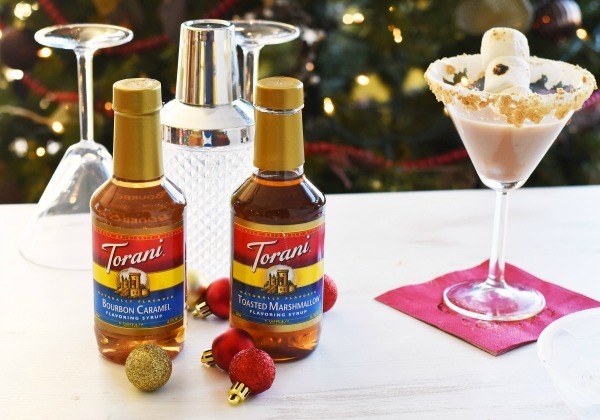 I love that Torani will allows people to connect with friends and family by sharing their flavor discoveries–perfect for this time of year! 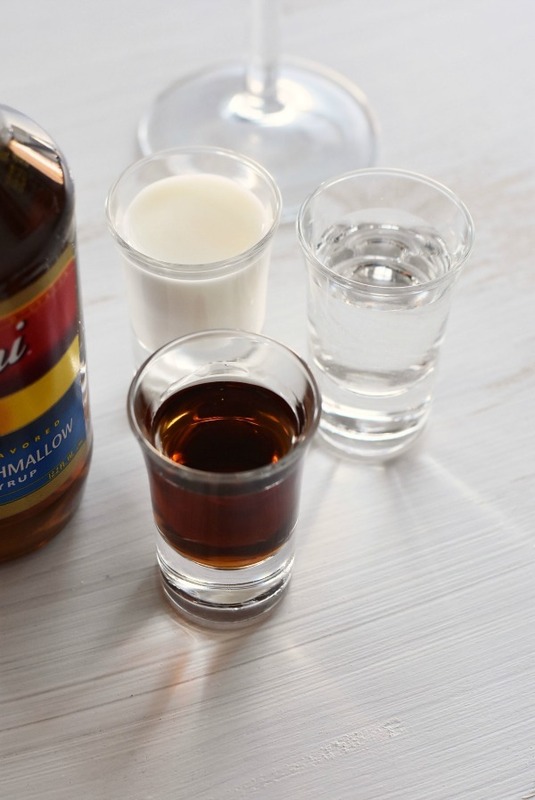 As you can see, this drink is like a dessert in itself. 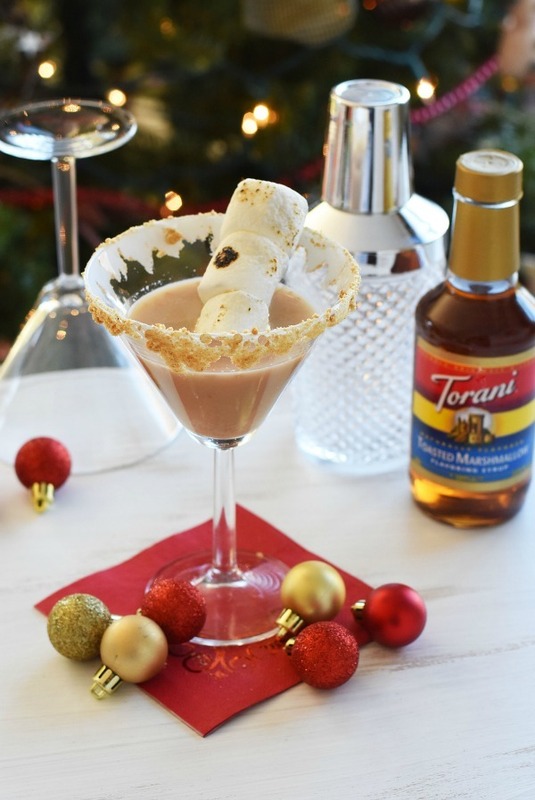 It would make the perfect finish to a Thanksgiving Day meal, and is not too hard to make! 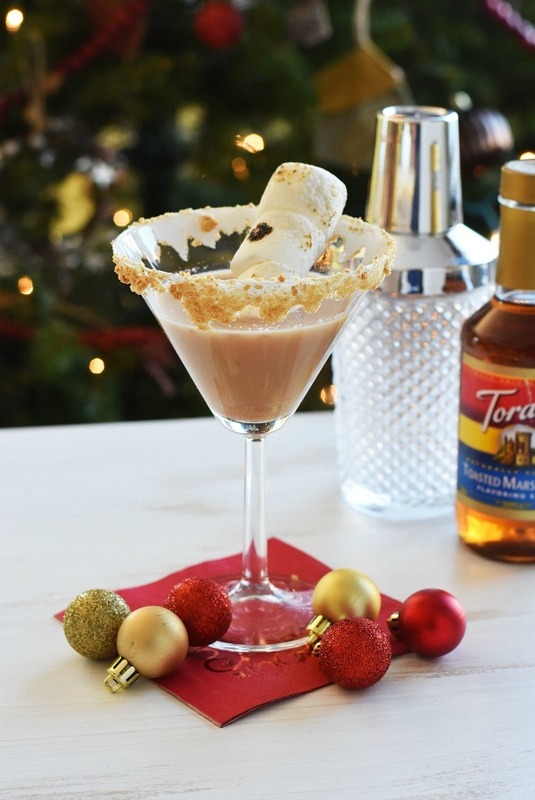 This drink is pretty sweet, but a great way to celebrate the Thanksgiving and upcoming holiday season. 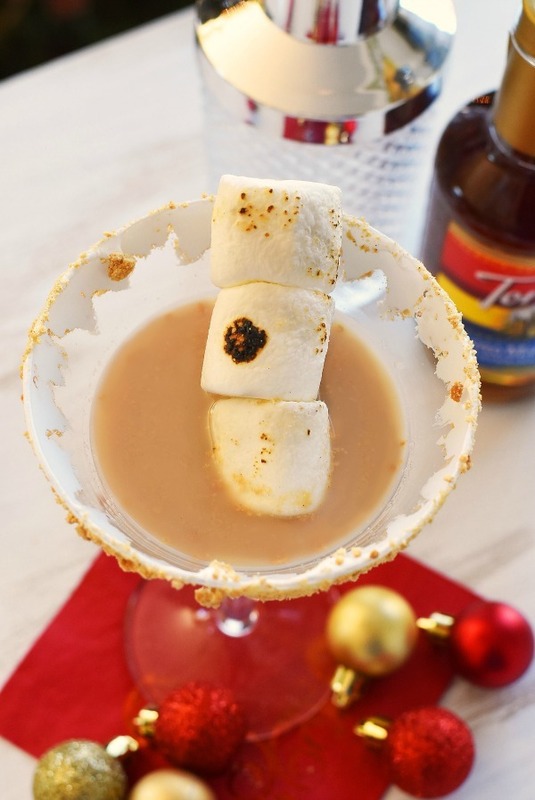 Will you be trying this Toasted Marshmallow Martini? Do you decorate for the holidays early? You had me at toasted marshmallow! I love almost anything toasted marshmallow. 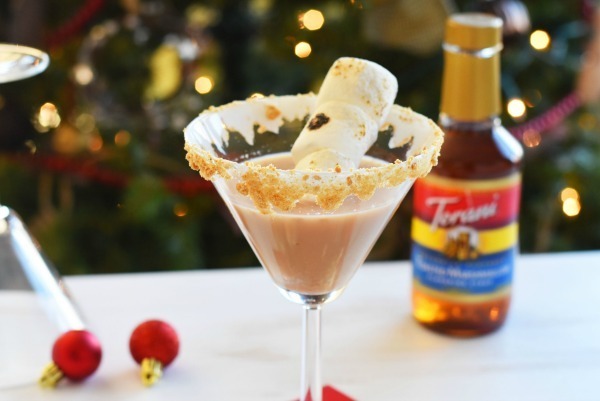 This is a great idea for a holiday drink. I am going to try it.